95% of all donations go directly to each mission to benefit children in developing countries. To donate, click below. Thank you! The Paul Chester Children's Hope Foundation is a registered 501(c)(3) and relies on funds from corporate sponsors, foundations, and individual contributions to cover the expenses of each mission - All donations are fully tax deductible. A $200 donation will help bring a smile to child in need by providing them with life-changing surgery. 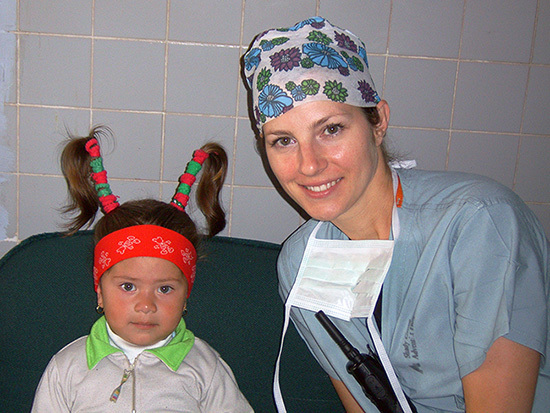 A $750 donation will help send a qualified professional to provide necessary assistance on a medical mission. We are continuing to help children and families by providing free medical care and surgeries to very underprivileged communities. This year to-date we have helped over 5,000 children. Our medical volunteers were able to restore eyesight and hearing in Kenya, correct cleft palates in Ecuador, and provide emergency surgical treatment in Haiti. Through the generosity of donors like you, your support allows us to continue bringing specialized surgical care to children and families without access to healthcare. In May, a 3-nurse team traveled to Cap Haitian to screen patients for a fall mission. A 4-year-old boy with a growth protruding from the left side of his ribcage was screened on this trip. Raised by his grandparents because both parents had perished tragically, this family and young boy did not have the financial means to pay for an x-ray, biopsy or medical care. When PCCHF’s medical team returned in October, the family was waiting for their miracle at the hospital. PCCHF paid for the X-ray, which allowed our surgeons to perform the biopsy. PCCHF also paid for the biopsy to be tested, and everyone learned the incredible news that the biopsy results were benign, and we will return to Haiti to complete the boy's surgery. Thank you for your continued support. We’ve had a busy year, with a follow-up trip to Kenya this past November, and several trips to Haiti as well. We sent our partners in Haiti a shipment of supplies and equipment including air conditioners for the ORs, an anesthesia machine, a new laparoscopic tower, and enough surgical equipment and supplies to support a substantial number of cases in that area. Our screening mission there resulted in about 50 surgical candidates--12 of which were operated on successfully in October. We hope to continue expanding and improving this site in Haiti over the coming year. Before we return, Kenya will need some time to stabilize politically before we feel it’s safe to travel over, as Kenya still has election-related instability, and our good friend and partner in Laikipia, Kuki Galmann, was seriously wounded last year while tending her property. In addition to our trips to Kenya and Haiti, we’re looking at two new potential sites: Suriname and Morocco. Our fact-finding trip leaves March 29th to Ribat. We'd love to have your continued support this year, and thank you for your donations and generosity. By selecting PCCHF on AmazonSmile as your charitable organization, the AmazonSmile Foundation will donate 0.5% of your total purchase price directly to PCCHF. PCCHF does not disclose personal donor information and will not share or distribute your personal or financial information with any other parties. The Paul Chester Children's Hope Foundation's Tax Identification Number is 20-4859013.